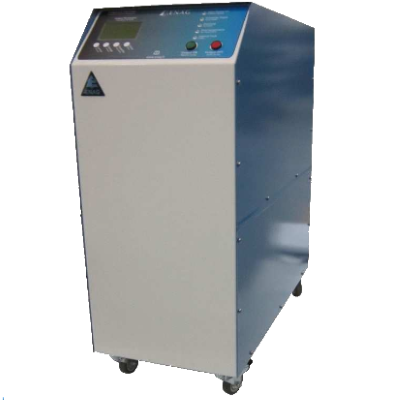 The 400Hz frequency converter range CF400Hz is designed to supply power to equipment working at 400Hz. Mainly used as a power supply for aeronautic equipment, the converters replace the on-board aircraft network. Covering a power range from 1.5KVA to 50KVA they are available with single or three phase input and with single or three phase output depending on the power required.